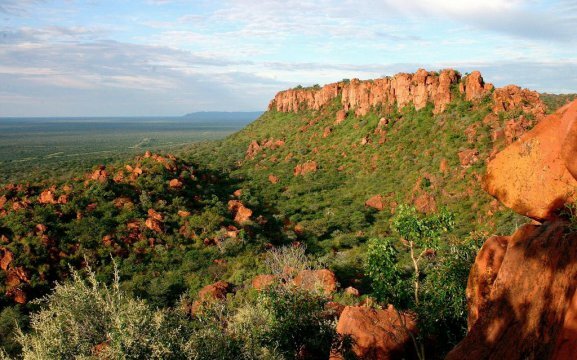 Waterberg Wilderness Private Game Reserve is situated 90km East from Otjiwarongo. It offers amazing views over the Kalahari plains. 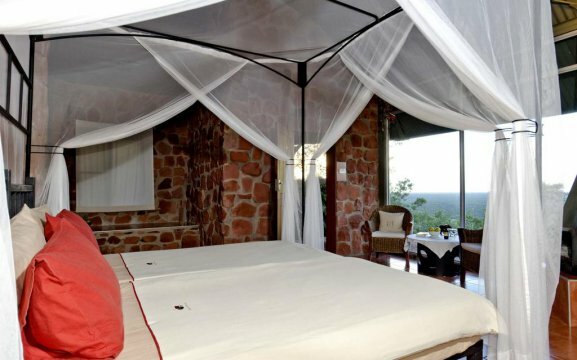 The Waterberg Wilderness Private Game Reserve has three lodges and two campsites. The lodges have a swimming pool and restaurant with a fireplace. There is free Wi-Fi at the reception of the nature game reserve. 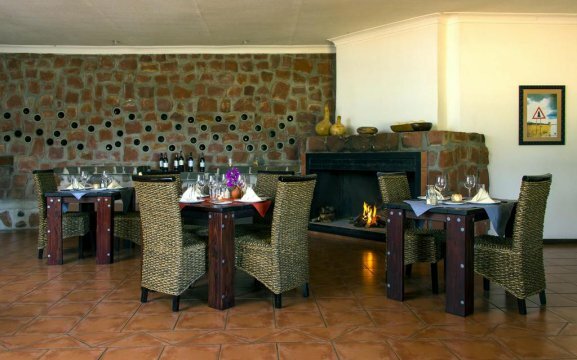 The Waterberg Plateau Lodge offers 8 double rooms and 4 family rooms with private plunge pool. Each room features en-suite bathroom and solar electricity (suitable for hairdryers, shavers and battery chargers). At the Lodge you will find a restaurant with a 270-degree-view, bar, lounge and fireplace, a tea garden, swimming pool and laundry service. 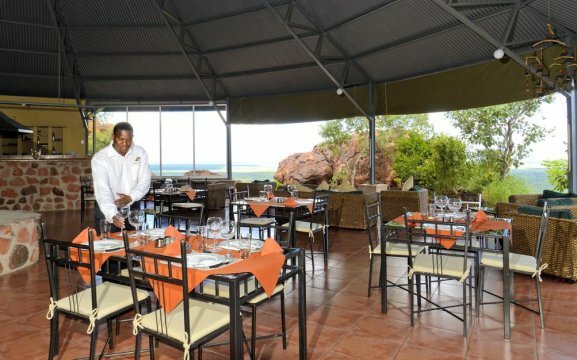 The Waterberg Wilderness Lodge offers 12 rooms including 4 family rooms with patio viewing the garden and rock cliffs. Each room has canvas walls, to give the outdoor-feel. 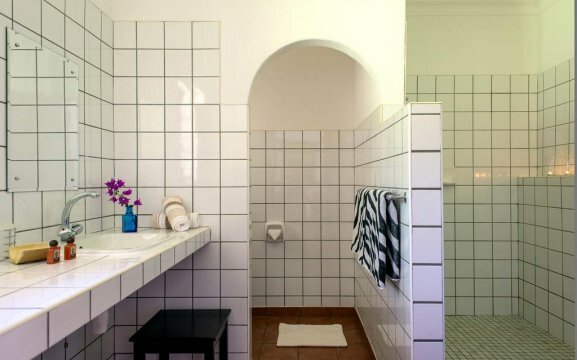 They feature en-suite bathroom with veranda, and solar electricity (suitable for hairdryers, shavers and battery chargers). 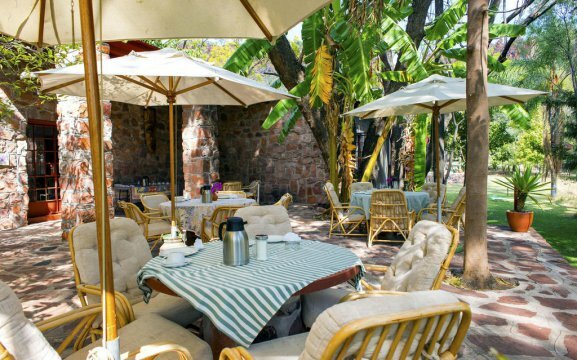 The Lodge also has a restaurant with bar and fireplace, swimming pool and laundry service. 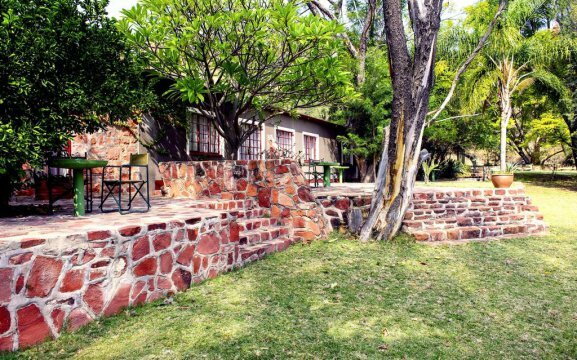 The Waterberg Valley Lodge offers 5 econo chalets with canvas walls and en-suite bathroom with veranda. Each chalet offers en-suite bathroom with veranda and solar electricity (suitable for hairdryers, shavers and battery chargers). At the lodge you will find a restaurant with bar and fireplace, swimming pool and laundry service. 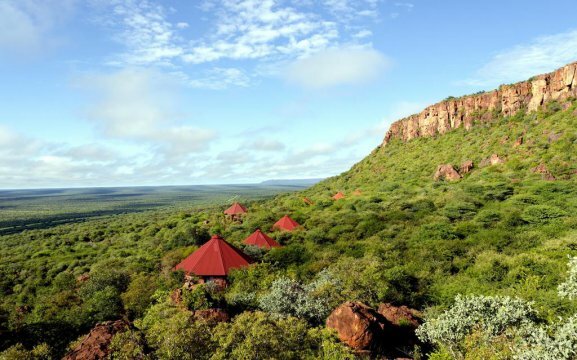 We have 8 pitches at the Waterberg Plateau Campsite and 4 pitches at the Waterberg Andersson Camp. They are situated on a hill of the valley. Both offer pitches on the red sand of the Kalahari, separated by bushes and trees. Each pitch has their own ablution facility with hot and cold water. 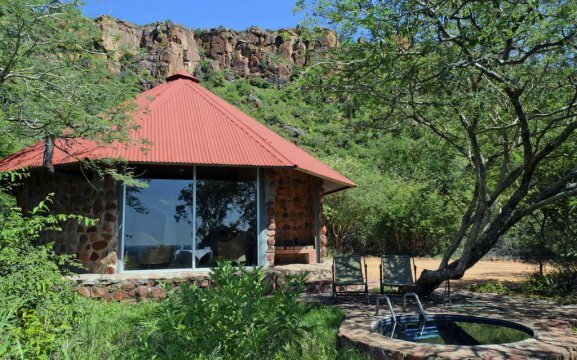 The Waterberg Plateau Campsite has a swimming pool, roofed bar, BBQ facilities, wood and meat is available and a view point overlooking the Kalahari bush savanna. 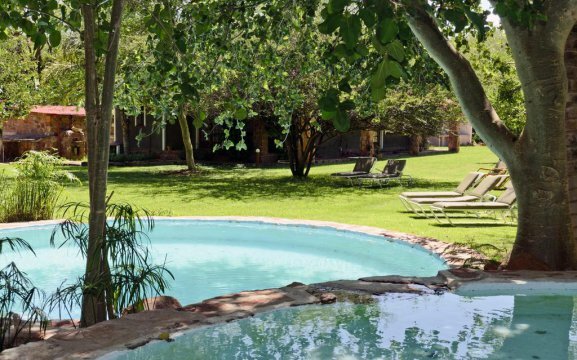 While the Waterberg Andersson Camp is nestled under trees, it offers BBQ facilities, swimming pool and a view overlooking the valley. All campers are invited to dine at one of our restaurants or join in one of the activities. Activities include game drives, hiking trails and day tours to the famous Hoba Meteorite near Grootfontein. Excurions can be arranged to Namibia’s Table Mountain. 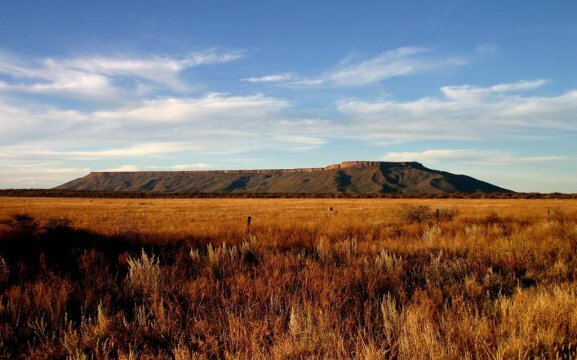 Here we offer the plateau hike, a honeymoon sundowner, Rhino drive, game tracking, nature trails, cultural tour into Hereroland and a history path of the Battle of Waterberg in 1904, with information boards explaining the unfolding of the history of Germans and Hereros. 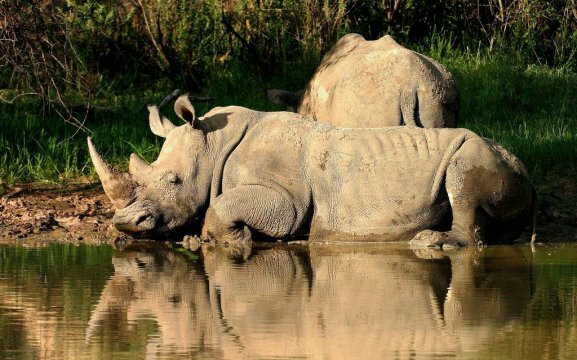 On our game drive you will see giraffes, rhinos, various types of antelopes. On the game tracking, you will be tracing the rhinos on foot. If you are heading back to Windhoek or north to Etosha or Zambezi/Caprivi why not stay at our lodge close to the international airport or Ghaub Nature Reserve & Farm.